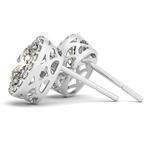 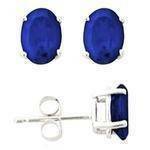 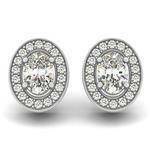 Earrings and diamond stud earrings are an essential part of a woman's diamond jewelry collection. 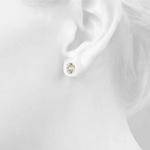 Select a pair of diamond stud earrings as a gift for any occasion. 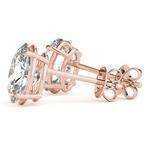 Diamond stud earrings are elegant and classic. 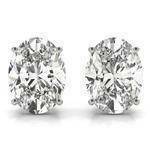 MDC Diamonds offers diamond solitaire stud earrings matching pairs in Round brilliant shape diamond stud earrings, Oval brilliant shape diamond stud earrings, Princess diamond stud earrings, Asscher cut diamond stud earrings, Emerald Cut diamond stud earrings, and Pear shape diamond stud earrings. Oval Diamond Stud Earrings 1.0 Ct. 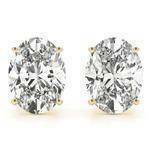 Oval Diamond Stud Earrings 0.75 Ct. Oval Diamond Stud Earrings 0.5 Ct. 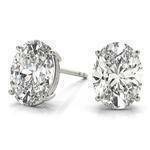 Oval Diamond Stud Earrings 0.4 Ct. 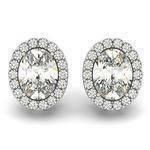 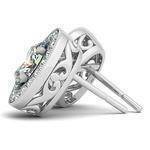 Oval Halo Filigree Earring 0.78 ct.
Filigree Oval Halo Earring 0.71 ct.
One of A Kind Oval Diamond Stud Earrings H, VVS1 1.08 tcw.